Puppy is 8 weeks old in the pictures. EIKO v.d. Magie x ATTA Adnaf litter. 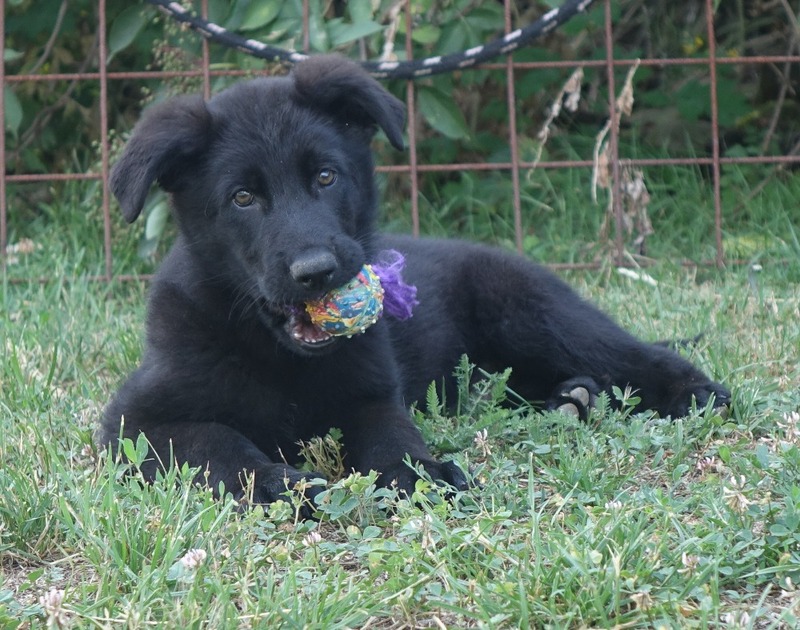 The litter was born May 4 2018 and there is 1 short coated solid black male available. Puppies are strong and agile with strong heads, short bodies and great appetite. 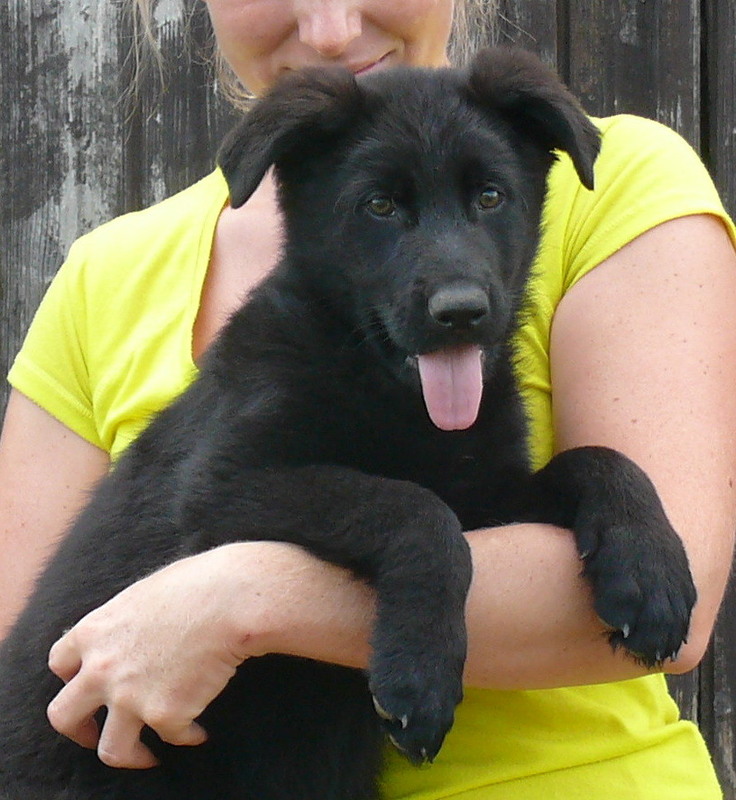 The litter is done within the frame of 5th bloodline of former DDR dogs and purely Czech working dogs. 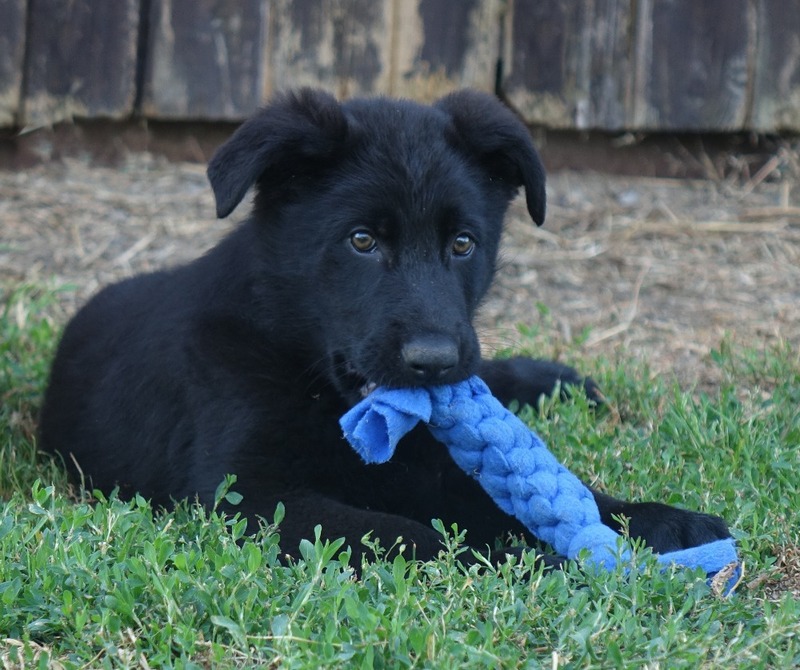 Puppies will be suitable mainly for personal protection, family protection and law enforcement work. The natural suspicion towards strangers is guaranteed. Puppies will also be suitable for the future use in a breeding program that will want to breed healthy and strong working dogs.